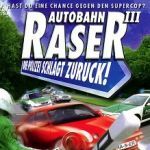 IGCD.net: Vehicles/Cars list for Autobahn Raser III - Die Polizei schlägt zurück! Yet More terrible Rubbish from Davilex! Davilex-A quality game every year! Road Wars Fanatic wrote Yet More terrible Rubbish from Davilex! I take that back, now that i know that Davilex games is (was) a very small company with a very low budget . Does some one have any Screens from the PS1 ? We need to have policy - if you don`t have the game, then don`t post it, even no promotional pictures which are low-res there. Just idea, though. Thanks for adding more pictures, but did the game not have a bumper cam to use for the traffic cars? I provided new pics for each vehicle and put them on the page of each car. Please set the "inside / dashboard" pic as the new main pic, the old ones can be dropped. I will add some new vehicles, and write here, if there are any further problems. I re-uploaded pictures for the three vehicles mentioned above. so where the playable truck?